The Squid Kids Called Inklings Are Back To Splat More Ink And Claim More Turf In This Colorful And Chaotic 4-on-4 Action Shooter! 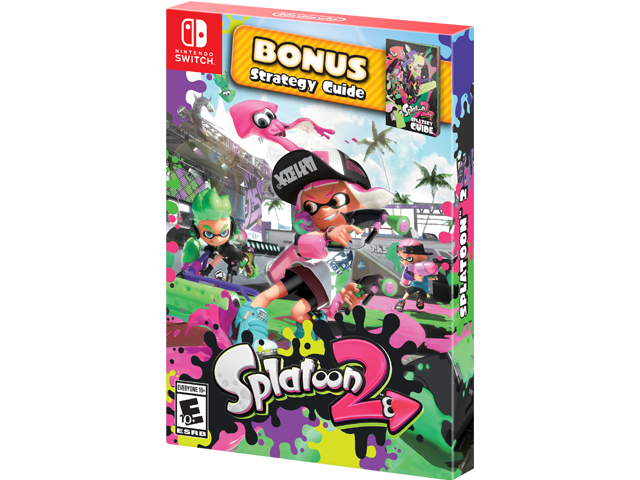 This Starter Pack is perfect for first-time Inklings; it contains the game, a detailed strategy guide which will help equip you with the knowledge you’ll need to become the freshest squid on the battlefield. For the first time, take Turf War battles on-the-go with the Nintendo Switch™ system, and use any of the console's portable play styles for intense local multiplayer* action. Even team up for new 4-player co-op fun in Salmon Run!